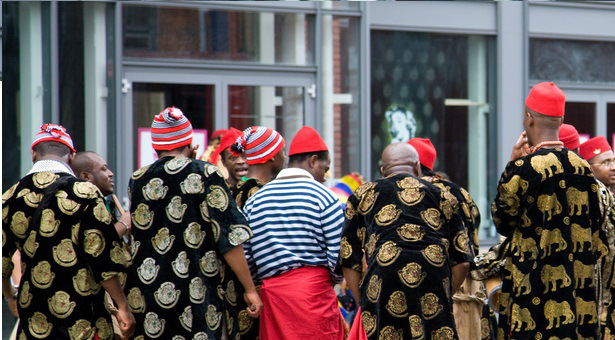 The Igbo Community Association in Kano State has distanced itself from the activities of the Indigenous People of Biafra and its leader, Nnamdi Kanu. The President-General of the association, Mr. Ebenezer Chima, made the position of the association known at a joint news conference in Kano on Friday. “We want to state categorically here that we, the Igbo residing and doing business in Kano State, unequivocally state that we dissociate ourselves from the activities of IPOB and its leader, Nnamdi Kanu. “We are strongly advocating peace and unity in the land,” Chima said. While condemning “in its entirety’ the unfortunate and avoidable crisis in Abia,” he called on all Igbo resident in the state to remain calm, promising nothing would happen to them. According to him, “the state government under the leadership of Governor Abdullahi Ganduje and security agents have given the assurance of adequate security of our lives and property. On his part, President of Ethnic Community Leaders Association in the state, Dr. Jimpat Ayelangbe, assured all non-indigenes of adequate security of their lives and property. He said the assurance stemmed from the meetings they had with various leaders and security agencies in the state. “ECLAK got the mandate to speak to the media by allaying fears of our people over the concern of their lives and property.